What is a Telstra Wi-Fi Dongle? Australia’s largest telecommunications company, Telstra, doesn’t only offer mobile phone plans. The telco offers a wide range of telecommunication and technological services including broadband and wireless network services. Telstra currently provides 17.7 million Australians with retail mobile services, 4.9 million Australians with retail fixed voice services and 3.6 million Australians with retail fixed broadband services. Telstra boasts of an international presence beyond Australia, with services in 20 countries. Among its plans and services are physical products of its own. In fact, with broadband plans for example, Testra offers free hardware such as dongles or pocket WiFi systems. Where free hardware is thrown in as a boon to the customer, there has to be a contract plan involved that ties you in for a year or two — most likely two. While dongles are slowly phasing out for a number of reasons, the company does offer an improved version of the dongle with a contract broadband plan. A Wi-Fi dongle is a little pocket-sized device that connects to your smartphone, laptop or computer via the USB port to provide internet access on the go. They are portable, easy to use and very affordable. Most W-Fi dongles resemble USB (Universal Serial Bus) drives. How Do Wi-Fi Dongles Work? 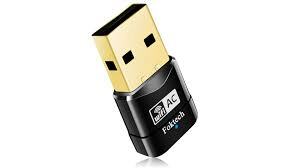 Once plugged into the USB drive, much like a thumb drive, Wi-Fi dongles provide users the ability to connect to wireless or mobile broadband internet – 4G or 3G. It’s that simple. 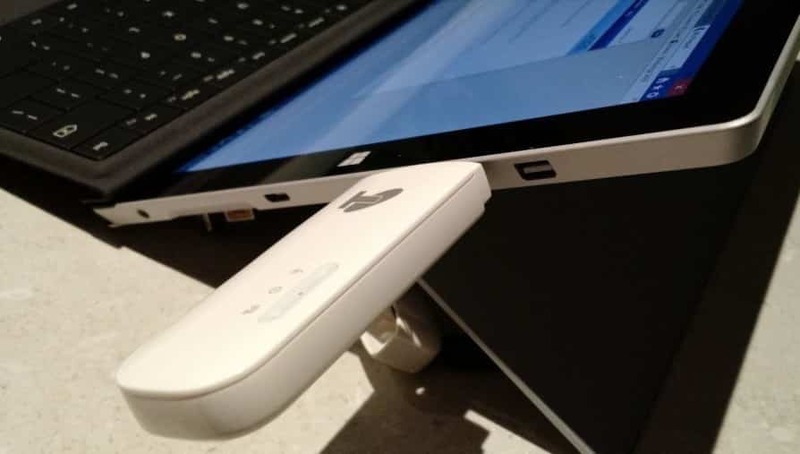 It’s important to note, though, that some of the newer Wi-Fi dongles do not have to be plugged into a computer, but can operate independently, making them a sort of hybrid pocket WiFi dongle. In such dongles, all one needs to do is turn the device on and connect from their phones or tablets in order to have access to the network. They also can be plugged in if necessary. Some Wi-Fi dongles have ports that resemble the charging ports of mobile phones. In such dongles, all one needs to do is plug in as they would their mobile chargers and connect. Convenience – Wi-Fi Dongles are wireless. Users do not have to deal with loose cords and muddled cables. Plan flexibility – Most Wi-Fi dongles offer prepaid packages. These prepaid packages allow dongle users the flexibility to change their plans based on factors such as finance and preference. Accessibility – Depending on the plan subscribed to, Wi-Fi dongles can be used abroad. Portability – The small size of Wi-Fi dongles make them easy to carry around. Ease of use – Wi-Fi dongles require no special set of skills to master when using. They are simple to use and easy to access. Useful for emergencies – Wi-Fi dongles are very useful in emergency situations where users need to access the internet. These emergencies are usually work emergencies. They allow users internet access wherever they are. Strong connections – WiFi dongles usually offer stronger internet connections than pocket WiFi devices when plugged directly into the device. Limited number of devices – If they require a USB port to work, they can only be connected to one device at a time. Internet access limitations – When using Wi-Fi dongles for downloads, access can be restrictive. Dongles on the downside: What’s Telstra got to do with It? While dongles offer a wide array of advantages, the use of conventional dongles has slowed down over the years. This can be attributed to a number of factors, the most rampant being that conventional dongles cannot connect to more than one user at a time. Telstra does not offer conventional dongles anymore, but instead it offers a USB + Wi-Fi device known as the Telstra 4GX USB + Wi-Fi Plus — a seemingly improved dongle, pocket WiFi hybrid. The Telstra 4GX USB + Wi-Fi Plus, is a fusion between the classic Wi-Fi dongle and USB Drive. While maintaining the properties of both, the Telstra 4GX USB + Wi-Fi Plus can boast of added advantages such as connectivity of up to 5 users and storage space of up to 32GB (Gigabyte) on a micro SD (Standard Definition) or SDHC (Secure Digital High Capacity) card. The Telstra 4GX USB + Wi-Fi Plus have three available broadband plans for a contract period of 12 or 24 months. These plans come with wither the dongle hybrid device, a pocket WiFi, or you can use a third party device that’s compatible with a Telstra SIM. The Small Mobile Broadband Plan gives subscribers 10GB of data (non-shareable) + 5GB bonus data at $29/month. This plan doesn’t include any call or SMS allowances. Calls made from capable devices attract the telecom’s stipulated pay-as-you-go tariffs. On exhausting stipulated data, extra data is granted at $10/1GB and this is allowed once a month. Here, the cost per megabyte (MB) is 0.28c/MB. The Medium Mobile Broadband Plan gives its subscribers 30GB of data (non-shareable) + 20GB bonus data at $59/month. This plan, like plan S, doesn’t include any call or SMS allowances. Calls made from capable devices attract the telecom’s stipulated pay-as-you-go tariffs. The Large Mobile Broadband Plan gives subscribers 80GB of data (non-shareable) + 10GB bonus data at $89/month. It strikes a bit of concern in some that the bonus data in this plan is less than the bonus data in plan M. This plan, like plans S and M, does not include any call or SMS allowances. Calls made from capable devices attract the telecom’s stipulated pay-as-you-go tariffs. Multiple Connectivity – The Telstra 4GX USB + Wi-Fi Plus allows up to 5 devices connect to it. USB Functionality – Aside providing Wi-Fi, the Telstra 4GX USB + Wi-Fi Plus boasts of its functionality as a regular USB drive. Compatibility with a Wide Range of Devices – The Telstra 4GX USB + Wi-Fi Plus is compatible with Windows 10, 8 & 7 (32/64 bit), Vista SP1, SP2 (32/64 bit), XP (SP3 Media Centre), Apple Mac OS 10.7 and later devices. Long Term Contract – Many users may not want to subscribe to a long-term data plan. It is also important to note that cancelling the plan early will incur a Maximum Early Termination Charge. The charge is determined by the plan subscribed to as well as the stipulated period of contract. Final words: Is there a way out? Buy an Unlocked Dongle and put in a Telstra Sim – An Unlocked dongle is a dongle that can be used with any service provider. It is not tied to one telecommunication brand. Explore other Wi-Fi devices such as the Telstra Pocket Wi-Fi.